There I was, shopping at Target. Desperately trying to get the shopping done within the baby’s window of contentment. Before I knew it.. His lip was quivering.. His brow wrinkled. Then it started. Smiles had quickly turned to impatient crying. Holding him in my arms, I started the “mom shuffle and sway” along with the “rhythmic shushing” lullaby. In that very moment, it hit me. Motherhood is pretty much a constant musical production. Intermission– At long last! After a good dose of dancing and musical numbers, you find yourself at intermission. We moms have dubbed this glorious mid-performance break “nap time.” A much needed moment to catch your breath and prepare for the next act. Is it just me, or is intermission never long enough? Wardrobe Changes – One must never expect to wear only one outfit during an entire performance! Never. Especially in the musical of motherhood. There will obviously be at least 2-3 wardrobe changes, courtesy of pee, poop, puke and some form of mashed vegetable. Likely these outfits will involve yoga pants and a ponytail.. Though at times you may be lucky enough to wear the nice costumes… Those may even involve heels and a shirt that isn’t covered in snot and spit up! The stage – Naturally, it’s not quite enough to simply star in this production. You must also care for all of the props and make sure all is returned to its proper place before the following day’s performance. Take a Bow – When the performance is over for the night, obviously you appreciate the round of applause for a job well done. Even if you’re clapping for yourself. The stage lights are out for the evening. You worked hard and put on the best show you could. Now it’s time to unwind and prepare for your next performance tomorrow! Bravo! 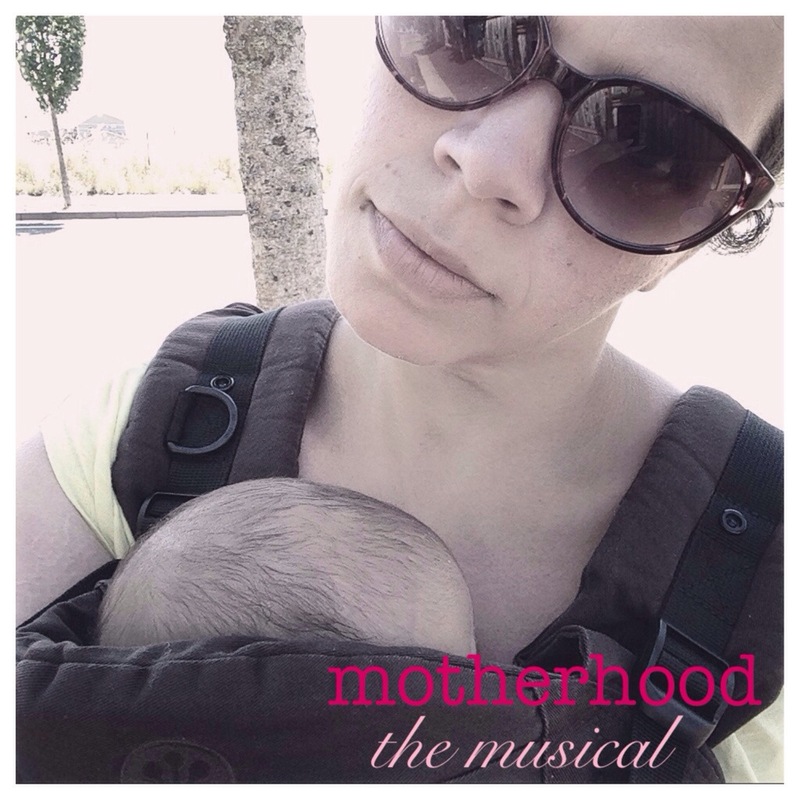 Motherhood, coming to a stage (or grocery store, mall, local park..) near you!